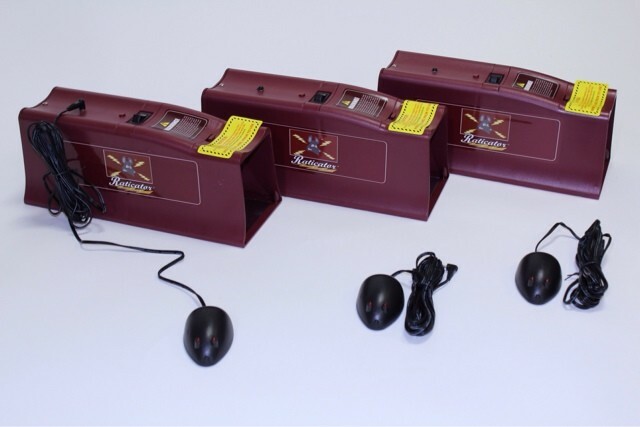 PRODUCT DESCRIPTION: This kit includes the Raticator Plus and the Raticator Rat Tale monitor. 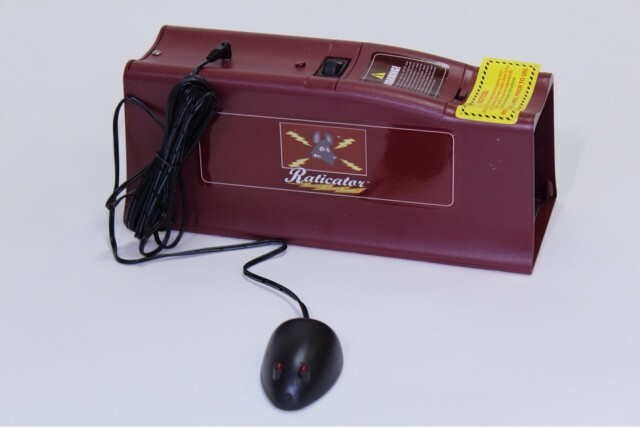 The Raticator Plus is powered by 4 "AA" batteries which can last for up to 50 kills; use lithium batteries for up to 100 kills per set of batteries. The unit features an off/on switch located on top. It is a plastic framed housing which has a metal pad on the floor where targeted rodents will walk. When turned on, the pad carries a negative charge on one side and a positive charge on the other side. Rodents which enter the chamber will act as a bridge between the two pads and effectively ground it out leading to their death. The remote monitor plugs into either the Raticator Plus or Raticator Max and has a little light on it with a 12 foot cord. Use the Rat Tale when you want to locate the main device somewhere not easily accessible. Just check the monitor from time to time to see if you "scored". We also sell this kit in a three pack, which includes three Plus Units and three Tale Monitors.